Dr. Jeffrey Vickers is Associate Professor at Northern Michigan University. He has commissioned and premiered numerous works for saxophones, many of which seek to expand the repertory of the tenor saxophone. He maintains interest in the promotion of contemporary music, and has collaborated with composers Lemay, Lauba, Itoh, Gotkovsky, Alla, and Michans. Dr. Vickers completed his Doctoral and Master's degrees at Indiana University, and his Bachelor's from the University of Mississippi. 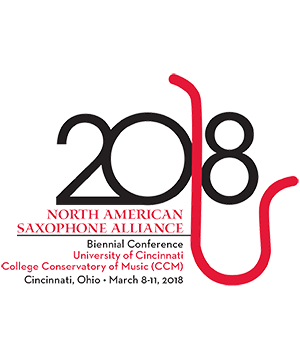 Dr. Vickers was a jurist for the 4th Jean-Marie Londeix International Saxophone Competition. He has performed in over two dozen states, Portugal, Spain, Scotland, and France. In 2014, he was a guest instructor at Spanish conservatories in Oviedo, Palma, and Alicante. He was also a featured artist at the NASA Region 9 Conference in Calgary, 2015. Dr. Vickers is the founder of Resolute Music Publications, which specializes in modern music . 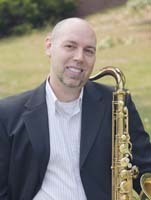 He is an artist/clinician for Selmer Paris Saxophones. Krista Wallace-Boaz Piano Dr. Krista Wallace-Boaz , Assistant Dean for Student Programs, Director of Graduate Studies and . . .